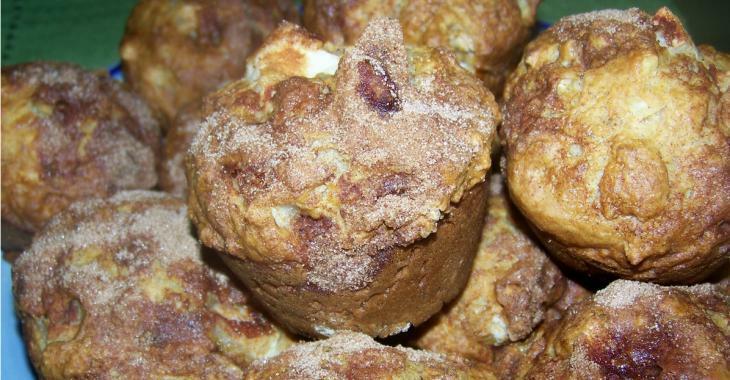 Kitchen : Apple and yogurt muffins ... Soft and delicious as you like them! Apple and yogurt muffins ... Soft and delicious as you like them! Muffins well soft, light and easy and quick to prepare! You will love them ! Easy to prepare in no time, a muffin that will delight your family at the time of the snack! Preheat the oven to 400 degrees F and butter a muffin pan. In a large bowl, combine flour, ½ tsp. cinnamon, brown sugar, baking powder, sodium bicarbonate and salt. In a small bowl, using a whisk or fork, mix the buttermilk or yogurt, oil, vanilla and egg. Pour over dry ingredients and mix until dough is moist, no more. Stir in apples and walnuts gently. Put the dough into the prepared pan. In a small bowl, combine sugar and teaspoon of remaining cinnamon. Sprinkle the mixture over the muffins.